At Facebook's F8 developer conference, the social network has revamped the way users log in to apps with more privacy controls on both the web and mobile devices. Facebook CEO Mark Zuckerberg demoed a completely new anonymous login on stage. 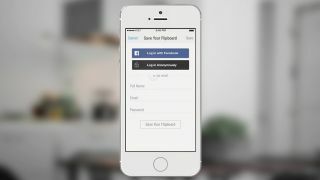 Zuckerberg explained this is the login for users who want to try an app and aren't ready to sign in with their real names or share personal information. Whether users are trying to keep their Miley Cyrus fan club rank a secret or feel unsafe about sharing their information with a new app, logging in anonymously lets them try out the app without sharing any personal info. As such, the app won't be able to pull data like their birthday or show up as part of their regular Facebook activity. At the same time, anonymous users will be able to use apps as their same incognito selves across devices, including tablets and web browsers. "This is going to allow you to try apps without fear," Zuckerberg said at the F8 keynote. If users so choose to associate themselves with the app afterwards, they can log in with their real identity to further personalize their experience. Alongside the new anonymous login, Zuckerberg also revealed Facebook is improving privacy with the regular account app login. Whereas the login box thus far has only given options to deny or allow an app to post as the user, the new system expands privacy controls into a line-by-line option menu. From this list, users will be able to decide if they want to share their public profile information including likes, friend lists, their email address and birthdays. "This is going to make people more comfortable signing in to their apps and engaging with them," Zuckerberg said. "This new login is all about giving you more control." Beyond giving more control to one user at a time, every user can now limit the way an app pulls data from things shared by people they know, such as photos and friend lists. "Everyone has to choose to share their own data with an app themselves," Zuckerberg explained. All in all these are the privacy controls that users have been clamoring for, which Facebook says will roll out in the coming months. As for all of your older app permissions, Facebook is also tweaking its app control panel to make it easier for users to manage specific permissions or remove apps entirely. This new dashboard will arrive in the coming weeks, according to the social network.